Welcome to my first official blogoween post! As the title says, today I am going to be talking about my five favourite horror books, a bold statement I know. I've said before that I am very into paranormal horror, and I think this is pretty evident by this list so if that is your sort of thing too, you should definitely check these books out. 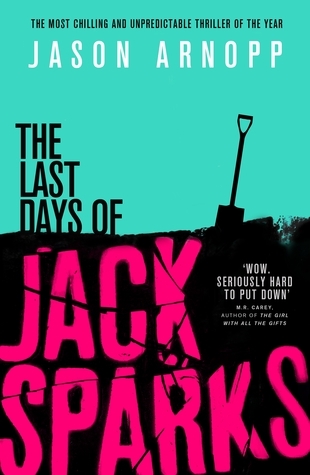 The Last Days of Jack Sparks follows Jack Sparks, a pop culture journalist as he is researching his latest book, which to everyone's surprise is on the occult. Told through found notes after Jacks Spark's dies, this definitely has a feeling of Paranormal Activity around it. This is probably my favourite horror book ever. Not only is it chilling, but it's also incredibly funny as Jack Sparks is actually bit of a cocky arse. Thoroughly modern, this book features creepy videos on YouTube as well as social media use (where Jack Sparks took to mock an exorcism he witnessed in Italy) it definitely appeals to all the things I look for in a horror book. 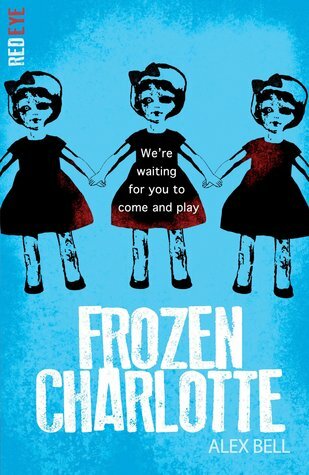 Frozen Charlotte is a perfect introduction to those new to horror as it is a young adult book, meaning it is ever so slightly less graphic, but still thourougly chilling. Charlotte dolls are tiny antique dolls, the size of fingernails with plain faces. China dolls always look creepy and Charlotte dolls are exceptionally creepy. Creepy dolls, eerie setting, I'll let you put the pieces together! This is actually the book that got me into horror in the first place, I remember reading this in the bath and being convinced that the bath water had turned cold and there was something in the room with me. Filled with many classic haunted house tropes, a family down on its luck, a house that seems to good to be true for the price and a dog that is scarred to be around the house, you would think this would be a tired and predictable story but it is still fresh and spooky. The plot has some nice twists to it and the character are well fleshed out. I may be biased as I'm a huge James Herbert fan but this is definitely one of my favourites by him. 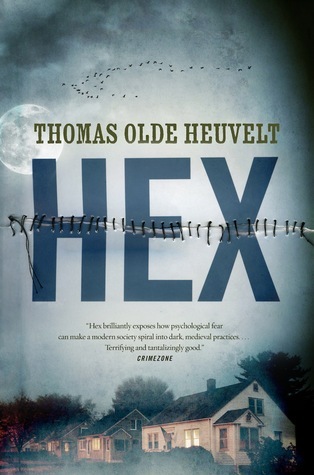 Hex is so clever and different to a lot of horror I've read. Set in a small picturesque town called Black Springs, everything seems great from the outside, but for people living inside the village, they all help to hide a dark secret and once you are in Black Springs there is no hopes of moving away. The thing I liked about Hex is that you are introduced to the Black Rock Witch straight away. Described as a woman from the 17th century who has had her eyes and mouth shut and wonders around the town appearing in peoples homes seems freaky enough. The elders of Black Spring have set up a surveillance system and have put together a team called HEX who monitor the Witch and her whereabouts to make sure people from outside Black Springs will never discover her. The Black Rock Witch seems pretty terrifying even if she hasn't caused any disturbance to the residents, but when some teenagers who are frustrated at the way the town is run decide to play some pranks, things take a horrifying turn. 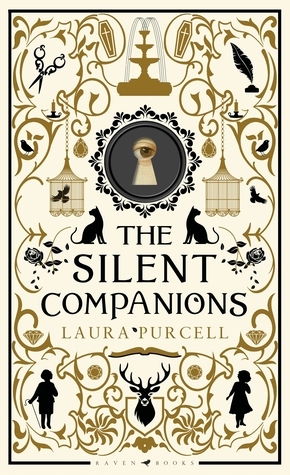 The newest one on my list, The Silent Companions is a Victorian ghost story that is super unsettling and very eerie. Elsie is recently widowed, and as part of having to deal with the death of her husband she goes to visit her husbands dilapidated country estate. Her serving staff are resentful of her (they think she is a gold digger) and the local villagers are pretty much hostile towards her. If that wasn't bad enough she finds behind a locked door a silent companion that looks a lot like her who's eyes seem to follow her around. Silent companions are essentially cardboard cut outs of people, but made of wood, pretty much just as creepy as porcelain dolls if you ask me. 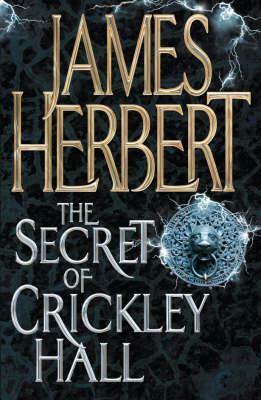 I loved this book, it was certainly different in terms of content and follows two timelines. It's well written and super scary. In the words of My Favourite Murder, 'go buy!'. Let me know if you have read and enjoyed any of these, or if you have any recommendations of something similar for me. I don't really read much horror, but I do love 'The Shining' by Stephen King. I keep on meaning to try more of his books, actually! I love Frozen Charlotte! Been meaning to pick up HEX too! My coworker is currently reading The Silent Companions and you both make it sound really good! Ah these sound really creepy. Scary books and films always get to me and I always lose sleep after them. Frozen Charlotte sounds like one I could just about manage, but I'd still struggle to sleep - maybe not one to read in bed! I've never read a horror book before! I much prefer watching horror! Frozen Charlotte sounds good though! I love your suggestions! A teacher leant me a James Herbert when I was 13. I have been hooked on horror ever since! I love the look of these, especially Frozen Charlotte, that's going on my Christmas list! I've never even seen or heard of any of these before. They look great! I’ve heard nothing but good things about Jack Sparks, so I’m definitely going to grab that and a couple of others on this list!